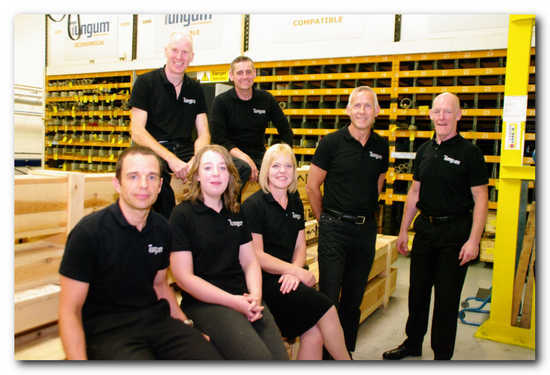 Members of staff at Tewkesbury based Tungum Ltd, manufacturer of corrosion resistant alloy tubing, are celebrating more than 120 years of combined service. 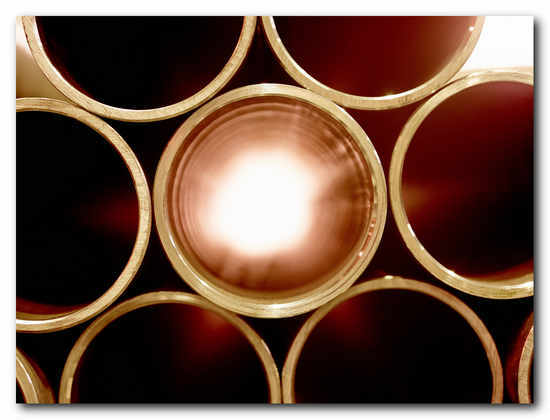 Established in 1933 in Cheltenham, Tungum tubing is a cost effective and reliable alternative to stainless and super duplex steel alloys, and is used across the oil and gas, shipbuilding and dive industries. Operations Director John Zbihlyj and Stores Supervisor Dave Kavanagh are the longest serving members of the team, with a combined 59 years of service, followed by Managing Director Ian Johnstone, who joined Tungum in 1998. Next in line is Ian Rickard, Technical Sales, and Sean Hammond, Sales & Marketing Director, who have clocked up 31 years of service between them, while Alison Keen, Credit Controller, marks nine years at Tungum. The company is continuing to expand its team following the appointment of Ruben Muro, Vice President of Sales USA, in 2015 and Mick Hopkins, Technical Sales Engineer, in 2016. More recently, they have welcomed Sales Administrator, Hannah Robinson, who joins Tungum from an events management company, along with new Stores Operative, Dave Rawlins. Ian Johnstone commented: “Over the past 19 years, we’ve seen a lot of change at Tungum, including our move from Cheltenham to our current location in Tewkesbury in 2006. The team has grown and developed, and the wealth of experience and knowledge relating to the industry sectors in which we work allows us to deliver a total solution for our customers. 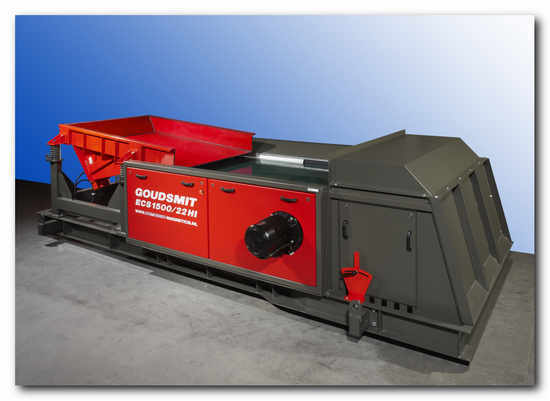 The complete line of eccentric Eddy-Current, non-ferrous separators from Goudsmit Magnetic Systems BV of Waalre has recently been redesigned for reduced cost and technical improvements. The goal was improved ease of use, durability and ROI (return on investment). Special focus was placed on the frame, accessibility for service and the magnetic rotors. The Quality Function Deployment (QFD) method was used to analyse customer needs and market trends. The improved version of the eccentric Eddy Current Separator is durable and easy to use. Based on this results the machine was then completely redeveloped and optimized, but with the understanding that no compromises would be made as concerns separation requirements, finish level and quality. Buyers of the Eddy-Current separators can expect the same grade/recovery performance and the same high level of quality at a considerably lower purchase price. Separators of this type are used to remove non-ferrous metals from material streams such as incinerator slags, shredder residues, glass, wood, construction and demolition waste, electronic scrap or household waste. Goudsmit is present at the Pollutec in Lyon, Stand 3-B-206. The eccentric magnetic rotor can be adjusted to different angles relative to the outer shell, which affects the ejection moment of the non-ferrous metals. 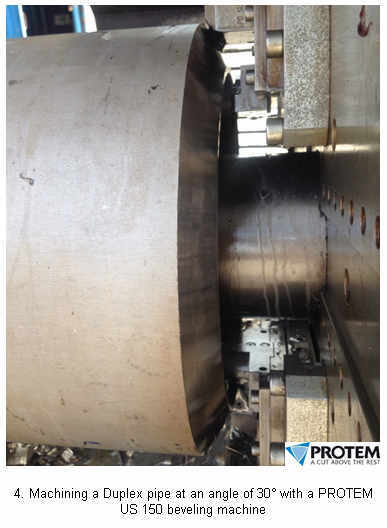 Because the magnetic rotor is mounted off-centre in the outer shell, iron particles cannot adhere to the outer shell; this prevents burn-in problems. 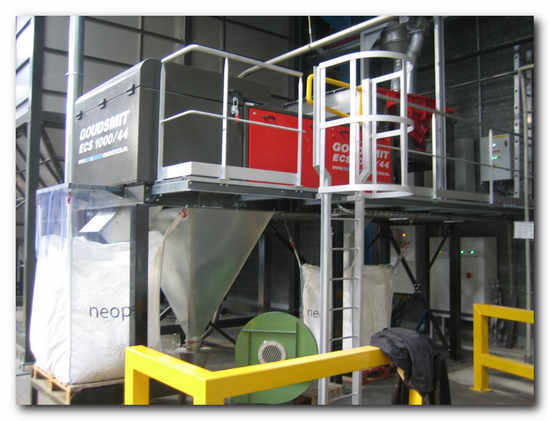 Applications of Eddy-Current separators include: household waste (shredded), incinerator slags from household waste, WEEE scrap, glass recycling, heavy and light shredder residues (e.g. Auto Shredder Residue), wood and/or chipboard recycling. The non-ferrous separators are available in different types, categorized by fraction size. The EddyCan® contains a 10-pole magnetic rotor (up to 150 Hz) and is suitable for separation of aluminium cans and coarse particles from lightweight (<350 kg/m3) bulk and recycling streams. The EddyXpert®, fitted with a 12-pole magnetic rotor (up to 300 Hz), is suitable for coarse fractions containing particles 80 mm and larger. The version with an 18-pole magnetic rotor (up to 450 Hz) is suitable for standard 20-80 mm fractions, and that with the 22HI-pole magnetic rotor (up to 733 Hz) is suitable for fine (0-20 mm) fractions. The EddyFines® contains a 38-pole magnetic rotor (up to 1140 Hz) and is suitable for fine (0-5 mm) fractions. 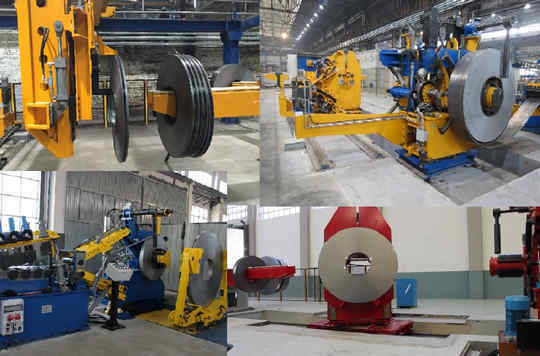 Available machine widths: 600 / 800 / 1000 / 1500 / 2000 mm. In addition to the standard versions, every effort will be made to accommodate specific requirements for non-standard applications. At this year’s Alihankinta Subcontracting Fair in Tampere, Finland, Ovako launched its new hollow bar M-Steel® 280 developed to offer component manufacturers design, machinability and cost advantages while also promoting its greatly increased service package and distribution operation in Finland, Ovako Metals Oy Ab. Both enhanced offerings are intended to provide customers with significant advantages, both in terms of material consistency and availability, with a range of customized services that are fine tuned to fully meet, or even exceed customers’ expectations and improve their competitive edge. Developing the new M-Steel 280, a low carbon, micro alloyed steel 20MnV6 M, as hollow bar makes it suitable for even more demanding applications by combining high strength with excellent machinability. Because the material is based on M-Steel technology, which stands for machinability, it also facilitates higher cutting speeds and, conversely, superior tool life. (Ovako M-Steel 280 Tubes): New Ovako hollow bar M-Steel 280 is a low carbon, micro alloyed steel 20MnV6 M, combining high strength with excellent machinability and weldability. Seminars on the new M-Steel 280 hollow bar were held on the Ovako stand on each of the three days of the exhibition. On Wednesday, September 28th, Åke Nilsson, Product & Application Turning Specialist, Sandvik Coromant Sverige AB, presented a seminar on machining advantages using M-Steel. A major advantage of M-Steel 280 hollow bar, close to finished component sizes, is that its use can eliminate a complete machining process where a central bore is required. 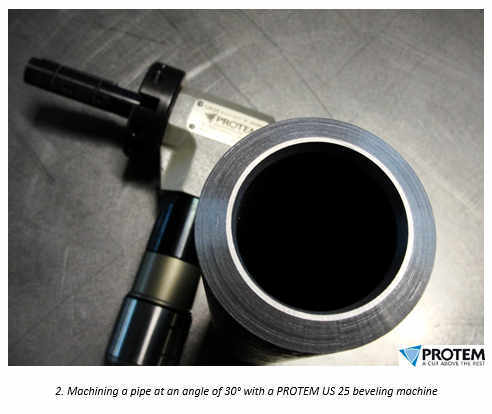 This helps cut down on production time significantly, reduce component costs and increase profitability. Also on the stand, steel and metals distributor Ovako Metals Oy Ab will take the opportunity to highlight the latest facilities which have been added to its distribution centre in nearby Tampere. The centre now boasts the capability to provide customers with a complete first stage in the production chain. In addition, Ovako arranged an evening customer visit to its local Tampere distribution centre during the week of Alihankinta, so visitors could see the enhanced facilities and new capabilities available to customers. 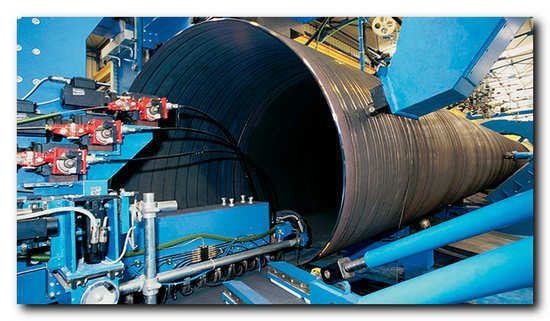 ArcelorMittal is supplying over 75,000 tonnes of hot-rolled coils (HRC) for the Trans-Adriatic Pipeline (TAP). TAP, the construction of which will begin mid-2016, is the final European leg of the 3,500km Southern Gas Corridor and will transport natural gas from the giant Shah Deniz II field in the Caspian Sea to Europe, improving Europe’s energy security. The steel coils for the project are being produced at ArcelorMittal Bremen (Germany) and then shipped to the group’s partner Corinth Pipeworks in Greece, where the pipes are being produced. Deliveries of the hot rolled coils began in late 2015 and will continue until the first quarter of 2017. ArcelorMittal Bremen was selected to produce the HRC because of the mill’s longstanding experience in pipeline steels. In 2011, ArcelorMittal Bremen installed the world’s largest heavy-duty crop shears on its hot rolling mill, enabling the site to produce heavy wall and super-heavy wall pipeline steels which meet the most stringent requirements. The pipes used on the TAP lines have wall thicknesses of 18mm and must pass strict mechanical testing requirements and dimensional tolerances. 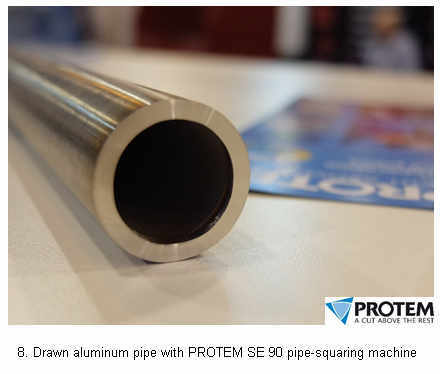 The steel used is an X70, high-end grade for pipeline applications. All the steel and the majority of the pipes will be produced in Europe. "We have provided steels for the global oil and gas pipeline industry for more than 30 years. ArcelorMittal has a proven track record in this field, ensuring proximity to the customer and continuous technical support - in combination with the high quality products provided by our mill in Bremen. ArcelorMittal Europe – Flat Products is proud to be a part of this vital strategic project which is creating value for local communities as well as securing Europe’s future energy supply," said Stéphane Tondo, chief marketing officer in charge of packaging and oil and gas at ArcelorMittal Europe - Flat Products. ArcelorMittal employs more than 80,000 people and produces approximately half of its total steel volume in Europe. With a presence in 17 European countries and around 400 different sites, ArcelorMittal Europe had revenues of €29 billion and a crude steel production of 44 million tonnes in 2015. We supply flat and long steel products for all major steel markets, including the automotive, construction, packaging and household appliances industry – supported by a leading R&D and distribution network with 9 laboratories and 1,000 full-time researchers in Europe. OJSC Magnitogorsk Iron and Steel Works ("MMK" or "the Company") (LSE: MMK) aims for 100% of car manufacturers operating in Russia to accept its metal. The Company consistently implements its import substitution strategy and receives approved rolled steel supplier status. MMK’s rolled steel has already been approved by 80% of carmakers in Russia. 60% of them procure MMK’s metal on a regular basis. In particular, MMK is a key supplier of rolled steel for AvtoVAZ and UAZ. Furthermore, MMK has received approval from a number of international companies with localized production in Russia. The Company has a track record of supplying steel to such producers and continues to promote its products for existing and potential car plants. In the coming years, MMK plans for 100% of car manufacturers who localize their production in Russia to receive MMK’s steel. Currently, MMK is a leading supplier of ferrous metal products for car plants and related facilities which produce various car components. MMK holds leading positions in supplying cold-rolled and hot-dip-galvanized steel for the car industry. This was mainly supported by the commissioning of a state-of-the-art cold-rolling Mill 2000 in 2011-2012. The launch of this new facility enabled MMK to convincingly compete with international peers. Thanks to its technological specifications, the Mill 2000 is able to meet the most rigorous requirements for surface quality of cold-rolled and hot-dip-galvanized steel, cover tight thickness requirements, as well as apply zinc-iron (galvanneal) and phosphate coating for anti-corrosion protection, produce high-tensile IF-HS, HSLA, BH and DP steel, which is demanded by producers of cars and car components. MMK is one of the world's largest steel producers and a leading Russian metals company. The company's operations in Russia include a large steel-producing complex encompassing the entire production chain, from the preparation of iron ore to downstream processing of rolled steel. MMK turns out a broad range of steel products with a predominant share of high-value-added products. In 2015, the company produced 12.2 million tonnes of crude steel and 11.2 million tonnes of commercial steel products. MMK Group had sales in 2015 of USD 5,839 million and EBITDA of USD 1,668 million. Steel tubes are still a success story. Except for a downturn in 2009, global production figures have been pointing in one direction only – upwards. According to the German Steel Tube Association (Wirtschaftsvereinigung Stahlrohre) in Düsseldorf, steel tube manufacturers increased their worldwide production by another 7 per cent in 2014, reaching a record 166m metric tonnes. As in previous years, the rise was due, in particular, to higher production figures in China. In 2014 the People’s Republic achieved yet another above-average increase in steel production by 11.6 per cent, reaching 89m tonnes. In the same year 54 per cent – over half the world’s steel tubes – was produced in China. China is even more dominant in seamless hot-rolled steel tubes, where its share in global production has reached two thirds now. In other parts of the world growth was four per cent – 77m tonnes – and thus considerably lower. In East Asia (excluding China) production remained more or less constant, at 2.2m tonnes. Japan recorded 7.2m tonnes and thus three-per-cent growth. The EU, too, experienced a slight production increase in 2014, after the previous year’s sharp downturn, though without achieving the record values of 2005-2008. Nevertheless, at 12.6m tonnes, European steel tube manufacturers are still producing four per cent more than in 2013. A four-per-cent production increase (2.7m tonnes) was also recorded by the German steel tube industry in 2014. But of course 2013 had been one of the weakest years for a long time for Germany’s manufacturers. The industry is certainly still a long way off the record values of around 4m tonnes between 2006 and 2008. Neither did all industry segments benefit from the recovery alike. Gains were made, above all, by welded steel pipe manufacturers, while seamless steel producers suffered rather a decline. According to the Association, the poor results in this market segment were due to a substantial drop in crude oil prices, particularly during the second half. The main reason for the rise in German production was an increase in domestic demand. Germany’s foreign trade surplus, on the other hand, experienced a decline, as exports dropped 12 per cent to 2.4m tonnes. At the same time imports went up five per cent, reaching 1.9m tonnes. This resulted in supplies for the German market rising to 2.2m tonnes, i.e. up 18 per cent. In addition to this development in volumes, the development of prices was equally important to manufacturers. After a general decline in the previous year, 2014 displayed a variety of tendencies for different types of steel tubes. Whereas prices went up for large-diameter tubes, they went down for seamless tubes. For precision steel tubes, on the other hand, prices varied only negligibly. According to Salzgitter AG, 2014 was marked by rising energy requirements in the BRIC countries, the development of the United States towards self-sufficiency in oil and gas and, at the same time, a decline in energy demand in the industrial nations, caused by improvements in efficiency. These developments meant that growth opportunities for the tube industry largely shifted to regions outside Western Europe. Moreover, partly due to overcapacities on the steel tube market in 2014, several markets also saw a toughening of competition. In its 2014 annual report Salzgitter broke down global production into products and manufacturing processes. 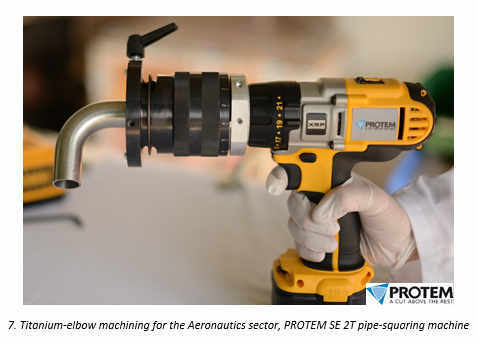 It shows that seamless tube production increased globally by just under six per cent, reaching 49m tonnes, of which 32m was produced in China alone. The production of welded steel tubes up to 406 mm (outer diameter) rose to 94m tonnes – a segment where the Chinese share reached 50 per cent for the first time. 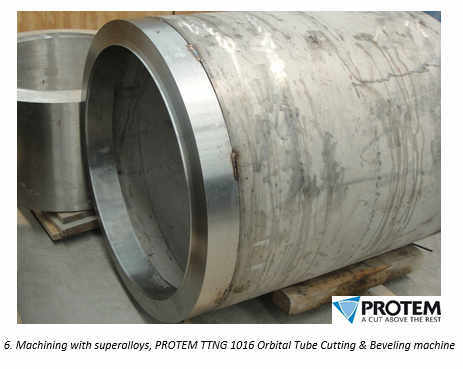 By contrast, large-diameter tube production (i.e. above 406 mm outer diameter) stagnated globally at 22m tonnes. Slight increases in the CIS, China and Japan were offset by a decline in production in the Western world. 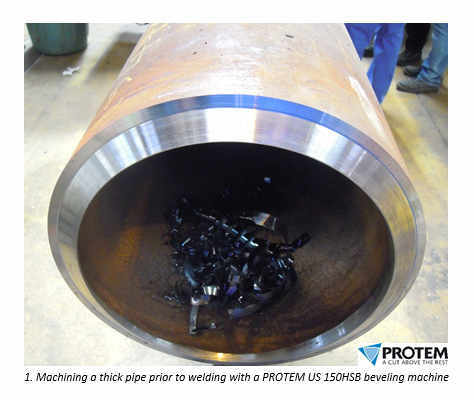 The downturn in large-diameter tubes was particularly noticeable in the United States – partly because US production had been at such a high level in 2013. Benteler International AG is another company whose 2014 annual report focuses on the background of developments on the steel tube market. The company reports that the year was marked by positive stimuli from good developments in the global automotive industry, yet also by crisis-induced downward movements in Brazil and Russia. Furthermore, the company observed a decline in drilling activities caused by falling oil prices and, as a result, a lowering of demand for pipes in oil and gas exploration. The big regional differences in the use of steel tubes were reflected in growth rates of 3 to 5 per cent – and sometimes even higher – in Asia, Africa, the Middle East, Eastern Europe and Turkey, while the Western European market remained rather weak, with growth mainly below 2 per cent. According to Benteler, positive signals came from the important OCTG market in the United States. Thanks to a considerable increase in oil exploration and production, the demand for tubes rose substantially from mid-2014 onwards. US anti-dumping measures against imports from various countries, particularly Asia, led to price increases in the second half of the year. Towards the end of the year, however, a major drop in oil prices began to cause a tangible reduction in demand. 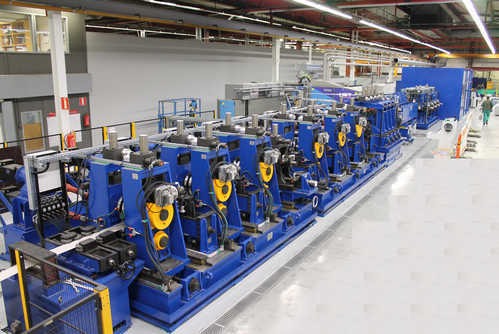 In all, says André Sombecki, CEO at Benteler Steel/Tube, the steel tube market has basically developed very positively over the last few years: “The demand for tubes is rising, and the market is growing – especially in the United States and Asia. Europe recorded some slight growth and a high level of existing capacities. At the same time we can observe increasing competition from China, Russia and Eastern Europe.” The US market is seen as an important growth market, which is underlined by the new hot rolling mill in Shreveport, Louisiana. In this way Benteler not only seeks to demonstrate a close customer focus and a local approach, but it also wants to achieve a better long-term ability to serve markets in North and South America. 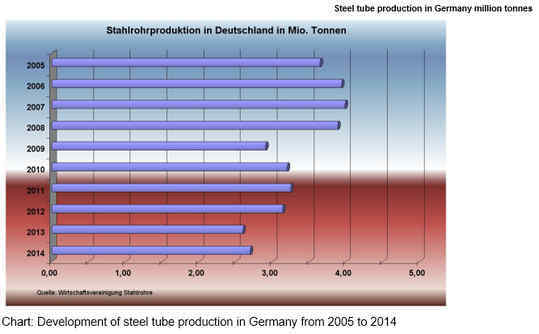 Statistics of the various customer industries of German steel tube manufacturers show that the energy sector is the biggest single area, with around 40 per cent. It is followed by the automotive industry (around 20 per cent) and mechanical engineering (15 per cent). Not surprisingly therefore, the energy sector is seen in the industry as the biggest growth engine and global market of the future. According to a forecast published by Benteler, the production of shale oil, for instance, is expected to have risen more than 100 per cent between 2012 and 2025. The production of liquid petroleum products and liquid gas is apparently set to increase 100 per cent in Latin America, 40 per cent in North America and 35 per cent in the Middle East. In 2015, however, the steel tube market did not confirm the correctness of such forecasts. In all, after the weakness of the first six months, this market continued to develop in a rather more restrained manner during the third quarter of 2015. This, at any rate, was the conclusion drawn by Salzgitter AG in its provisional report for January to September 2015. One major reason for the situation in the industry was apparently the crude oil prices which ultimately caved in again after a brief period of recovery. This led to weaknesses in exploration activities which are so important for the industry. The impact could be felt, above all, by seamless steel tube manufacturers which had to cope, for instance, with up to 40 production slumps in North America. However, substantial downturns were also recorded in the European Union, including Germany. In all the other segments, by contrast, the economic performance was more positive. In welded steel tubes up to 406 mm (outer diameter) manufacturers achieved a slight increase in production output. Increases were also recorded for large-diameter pipelines (above 406 mm outer diameter), especially in North America, Russia and China. In the EU, on the other hand, production was only negligibly higher than the very low level of the previous year. German manufacturers benefited when the suspension of the Black Sea Pipeline Project, Part One, was lifted – the former South Stream Pipeline, now TurkStream. At the same time, the demand for precision steel tubes, says Salzgitter AG, continued to be satisfactory in the EU, including Germany, thanks to the automotive industry. Yet, in all, the number of new and existing orders recorded by Salzgitter’s Energy Division – which handles its tube activities – was lower for the first three months of 2015 than for the same period a year earlier. As oil prices continued to be low, numerous gas and oil exploration projects were postponed or even abandoned throughout the world. Reduced demand coupled with newly created production capacities, particularly in Asia, led to greater price pressure and thus to a massive decline in revenue. This development also affected HFI and spiral-welded tubes, a segment which recorded a tangible downturn in existing and new orders in the first three quarters compared with the previous year. The precision tube market, on the other hand, benefited from a good order volume coming from Germany’s highly export-focused car manufacturers during the first nine months of 2015. After the continuing weakness of Europe’s large-diameter pipeline market throughout much of 2015 a number of facilities in Germany did, however, experience an improvement in their employment situation at least. This was helped by the resumption of production for the Black Sea pipeline project, the order for the Trans-Adriatic Pipeline (TAP) and the ongoing positive situation in North America. The Salzgitter Group won the tender for 270 kilometres of large-diameter pipes and 1,559 pipe bends for the Trans-Adriatic Pipeline which will eventually transport natural gas from the Caspian Sea to Europe. In the future Salzgitter is expecting some robust and sustainable demand from car manufacturers in the precision tube segment. Due to low oil prices, however, the company is also anticipating results below the level of 2014 for seamless stainless steel tubes. “The steel industry is going through a global crisis which even the German steel industry won’t be able to avoid,” Hans Jürgen Kerkhoff warned in Düsseldorf in mid-December 2015. But the President of the German Steel Tube Association also admitted that the “weak economic figures in the steel industry are in contrast with the prospects of its big customer industries”. Apparently, a positive picture continues to emerge and inspire confidence – partly from performance indicators and thus a good mood in most customer industries, but partly also from the forecasts of the most important steel-processing companies. In the coming year growth is expected in the German automotive industry and also the construction industry. It seems that certain signs of stabilisation can now be observed in mechanical engineering and construction. 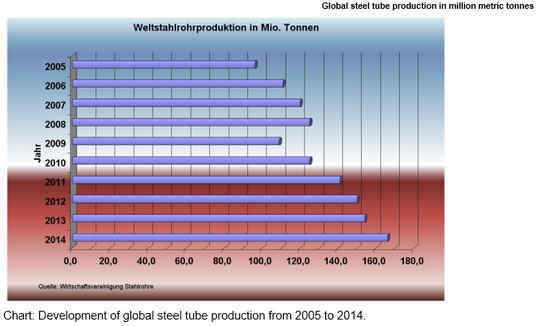 Kerkhoff says further: “In the steel tube segments stimuli should mainly be coming from large-diameter pipes.” In total, production in the processing industry is expected to increase somewhat, while the need for steel will move slightly sideways. The odds are therefore fairly good that 2016 will develop better for the steel tube industry than for the steel industry as a whole and that the forthcoming International Pipe & Tube Fair, Tube, will take place in a favourable economic environment. As before, the next leading trade fair of the tube industry will be held together with wire in Düsseldorf from 4 to 8 April 2016. 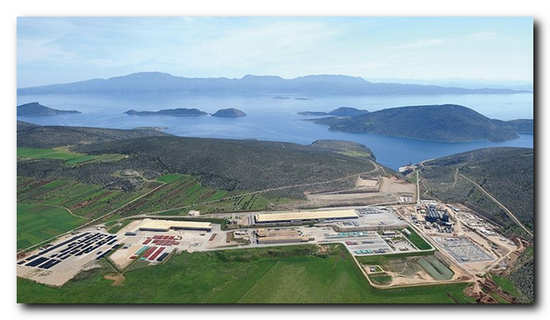 Agellis Group has been granted a patent for the technology used in the products EMLI-ELP and EMLI-FBL in Chile. Chile is an important market for the Agellis Group’s Technology with many potential non-ferrous customers and the granting of this patent plays an important strategic role for Agellis. Agellis electromagnetic products are based on a common electronic platform called EMLI. Products within thermography are based on infrared cameras and unique user software and server solution. EMLI-ELP (Electromagnetic Level Profiling) measures with high accuracy the different layers of material in a furnace, such as metal and slag. An accurate level measurement of the different layers in a furnace is a prerequisite for higher yield and increased quality of the metal produced. EMLI- FBL (Furnace Bath Level) automatically measures the bath level in an EAF with high accuracy, reliability and safety. 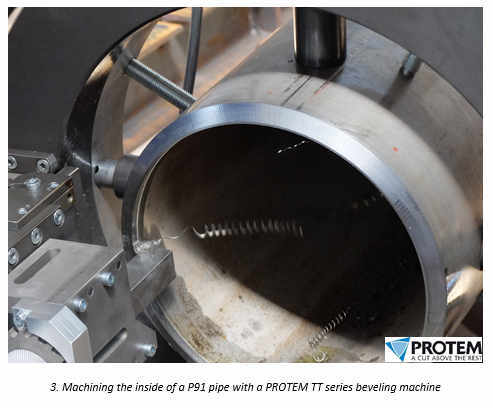 A reliable measurement of the steel bath level taken while electrode power is on or off helps operators make processing decisions that can help to increase production, improve safety and reduce maintenance. In the last few years Olimpia 80 tube mills has improved the range of the entry sections of his tube mills, with different solutions for automatic loading devices for strips. We can propose fully or semi-automatic solutions, starting from two or four arms coil capstan (up to 120 t total capacity) as storage for the strips. 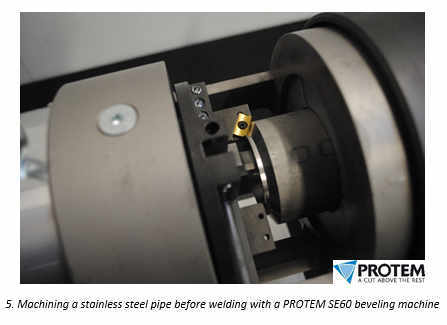 Every system can use the automatic strip centering system on the decoiler mandrel. Each different system is engineered in order to optimize the layout and the customer needs. Olimpia 80 every year invest a lot in innovation technologies, adding more sophisticated solutions and even simple and complete lines to guarantee the same quality result reducing the investment costs. With this policy, more customers can appreciate our technologies and can have more opportunity to choose in a very wide range of solutions. Copper prices, which are historically highly volatile, have continued their downward spiral in 2015 — the fourth year in a row. As of late July 2015, the world price of high-grade copper on the London Metal Exchange dipped below US$5,200 per metric ton, down more than 25 percent from the same time last year and almost 50 percent below its $10,000 peak in 2011. According to market research firm IBISWorld, the price decline is mainly a result of a production surplus and weakened demand from China, the world’s largest consumer of copper, which is currently experiencing a major economic slowdown. In the second quarter of 2015, the GDP of mainland China has grown at its slowest rate since 1990, an estimated 7 percent. In addition to China, the European Union is also struggling, and even emerging markets like Brazil and Russia have seen growth stall in the past two years, all of which contribute to declining demand for copper. The United States, on the other hand, is seeing increased activity in construction and industrial output — fueling steady demand for the metal. 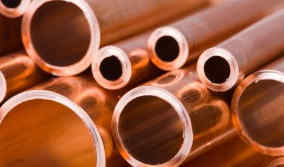 However, the economic performance of the U.S. is not enough to make up for slowing copper demand from other parts of the world. While current circumstances signal challenging times for copper producers, IBISWorld sees an improving U.S. economy, along with global trends in renewable energy, holding up demand and stabilizing prices for copper in the next two years. Copper is widely used to manufacture wire, electromagnets, circuits and grounding wires — key inputs for energy production equipment. With the push in many countries to invest in renewable sources of energy, namely wind turbines and solar panels, demand for copper products will expand and fuel an increase in prices. On a related note, the increasing demand for hybrid and electric vehicles will maintain the need for copper because these vehicles require two to three times more copper than their gasoline-fueled counterparts. Although IBISWorld anticipates copper prices will rebound slightly in 2016 and 2017, the impact of the slower Chinese economy, which historically accounted for nearly 50 percent of global copper consumption, will keep prices from rising at a faster rate. Nevertheless, considering the volatile nature of commodity prices, supply management practitioners should take advantage of current pricing conditions, if possible, and lock in rates before copper prices return to growth. Cage Forming Technology for square and rectangular sections. The last generation of Linear Cage Forming technologies has been put into operation in North Europe, in one of the first manufacturer of high quality stainless steel tubes in the world. It is a complete tube mill, including the surface finishing, tube ends facing, unloading and packaging sections. This fully automatic tube mill, can produce square tubes from 40x40 up to 120x120 mm, rectangular tubes from 50 x 40 to 180x60 mm in a thickness range from 2 mm to 8 mm in Stainless Steel Austenitic, Ferritic and Duplex grades. With this composition the mill can produce all the square and rectangular tubes within the size range, without change of any rolls in Forming, Welding, Sizing, Straightening and clamp jaws in Cut Off. That means total elimination of all cost for roll sets. The PLC records all the utilized data and it is possible to create particular “shapes” with different angles: from the PC it is possible to see the “tube flower” of the tubes one intends to produce. The average time for changing tube set-up dimensions is around 10 minutes. All the electrical equipment and motorizations are engineered in order to save energy, recovery power and reuse it in the line circuit.